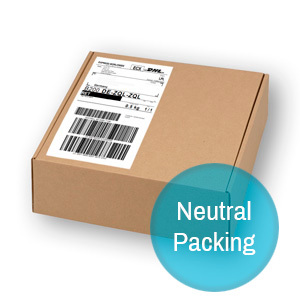 Doxycycline is one of the well known antibiotics which treats a lot of different infections. 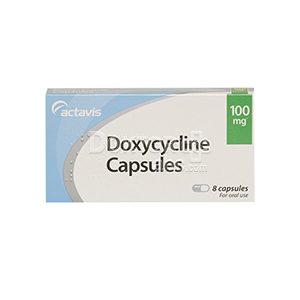 Doxycycline is one of the well known antibiotics which treats a lot of different infections caused by bacteria. It is one of the Tetracyclines, which belong to the huge group of antibiotics. Doxycycline is only available with a prescription from a doctor. He or she makes sure that you are healthy and able to take this medicine. Always take Doxycycline capsules exactly as your doctor has told you. If you are not sure, check with your doctor. Like all medicines, Doxycycline capsules can cause side effects, although not everybody gets them. • you notice that your skin is very sensitive to light (you may get a skin rash, itching, redness or severe sunburn when out in sunlight or after using a sun bed). • Blood: altered numbers of certain types of blood cells, you may notice that you bruise easily, have nose bleeds, or suffer from infections and sore throats, porphyria (sensitivity of the skin to sunlight, inflammation of nerves and stomach pains). • Glands and hormones: discolouration of thyroid tissue (does not affect thyroid function). • Central nervous system: headache, increased pressure in the skull (severe headaches, blurred and/or double vision, blind spots), permanent loss of vision, bulging fontanelles (soft spot on head) of infants. • Ears: tinnitus (ringing or buzzing in the ears). • Gastrointestinal tract: stomach pain, loss of appetite, feeling or being sick, heartburn, diarrhoea, difficulty swallowing, sore or painful tongue or mouth, inflammation and/or ulcers of the gullet, discolouration or underdevelopment of teeth. • Skin: severe skin reactions such as erythema multiforme (circular, irregular red patches), Stevens-Johnson syndrome (rash with flushing, fever, blisters or ulcers), toxic epidermal necrolysis (reddening, peeling and swelling that resembles burns), detachment of the nail from the finger bed. • Muscles and bones: muscle or joint pain. • Kidneys: an increase in urea in the blood.